← Say goodbye to monotony with a healthy fun on the beach: Italy, Croatia, Greece, Spain. If you are looking for some romantic and uncommon places, away from the everyday’s busy life, the Corsewall Lighthouse Hotel is the ideal location for you. It is an ancient lighthouse of the nineteenth century, which was built by Robert Stevenson, the grandfather of the famous novelist, and today it is furnished with antique furniture and restored into a very particular, charming and modern hotel, with all the comforts of a luxury holiday. 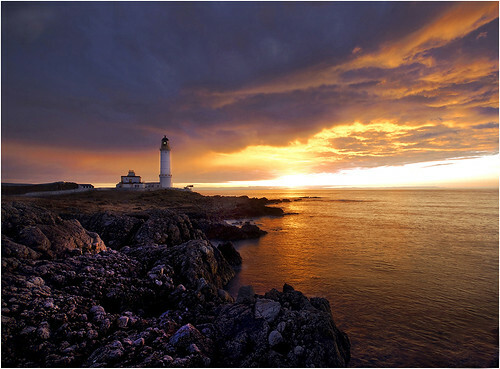 The Corsewall Lighthouse Hotel is located along the southern coasts of Scotland, in an enviable position, and it attracts many people so much to become the dream of many sea lovers, but also of those who love quietness. You can see and smell the sea breeze from every part of the rooms, which are very large and comfortable, and you can also enjoy an exclusive landscape, where Scotland seems to come close to Ireland. If you decide to stay in this extraordinary location, you will get a special and unforgettable experience, surrounded by a romantic atmosphere, rocked by the wind, while there is a stormy sea, or hearing the waves crashing, or enjoyng the beautiful sunsets, almost to the rhythm of his beams of light over sea. During your stay at the Corsewall Lighthouse Hotel you may also practice many outdoor activities, such as golf, boat trips and excursions in the surrounding places, horseback riding or just walking on the beach. So this lighthouse is the ideal place from which to begin to explore other lighthouses in Scotland, which are more beautiful and fascinating than many castles. 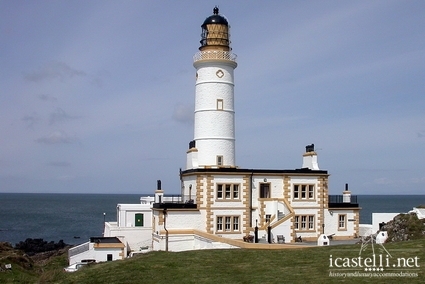 This entry was posted in icastelli.net news, Scotland and tagged corsewall lighthouse hotel, dormire in un faro, holiday in Scotland, hotel scozia meridionale, hotel southern scotland, sleep in a lighthouse, soggiornare in un faro in Scozia, stay in a lighthouse in Scotland, vacanze in Scozia. Bookmark the permalink.